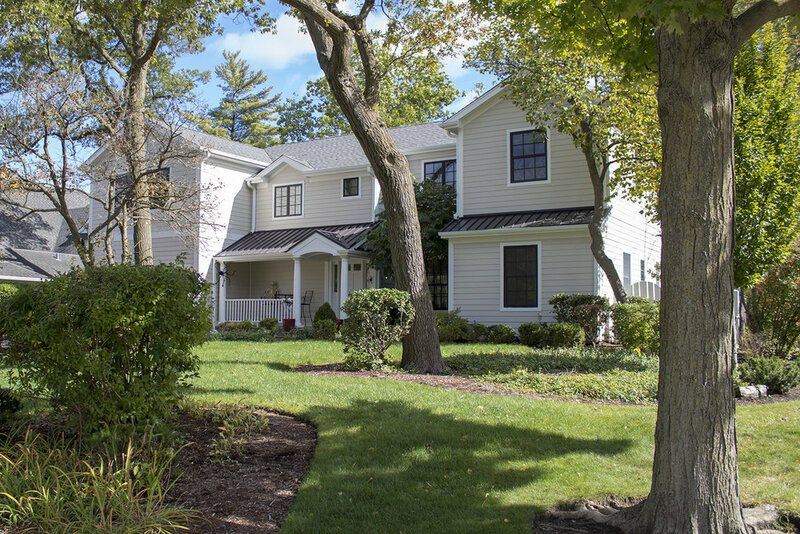 This second floor addition to an existing 1-story home also included interior remodeling of the first floor with the addition of a new stair to the second floor and basement. The old basement stair which divided the old kitchen from living spaces was removed, creating a vastly open first floor, perfect for daily life as well as entertaining. The new second floor features a master suite, two bedrooms with a jack & jack bath connecting them, laundry, upstairs family room and a homework area for two growing boys. The family is anxious to get back into their house, now transformed from a ranch to a modern colonial.